Some of the most influential members of the Australian food, food service and health media gathered in Sydney on Wednesday for the annual Australian Olive Association Media Luncheon, showcasing the best of the 2018 harvest and AOIA winning-products. 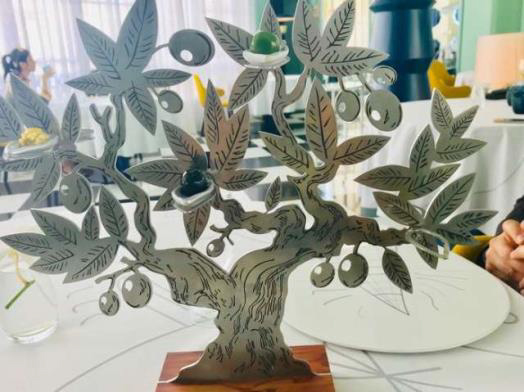 The event once again provided an opportunity to promote Australian EVOO and table olives, and to update the assembled influencers and communicators on both the industry and the quality and health benefits of our fresh, home-grown products. Starting with a selection of eleven award-winning EVOOs and olives at the “Tasting Table” in La Rosa restaurant, guests and industry representatives then moved on to Pendolino Restaurant for a three course lunch created especially for the event by Chef Nino Zoccali – each course using and celebrating one of the AIOA’s top award-winning EVOOs. 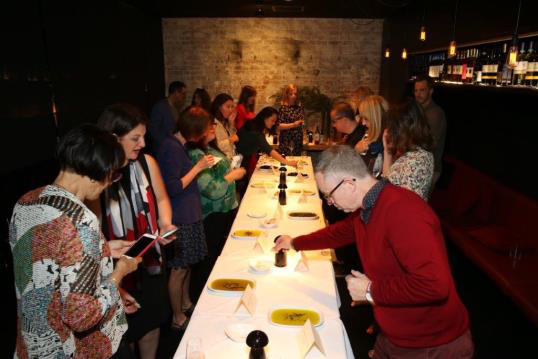 The flavours shone and made their mark, with an increased knowledge and appreciation for the quality of Australian olive products part of the shared experience. 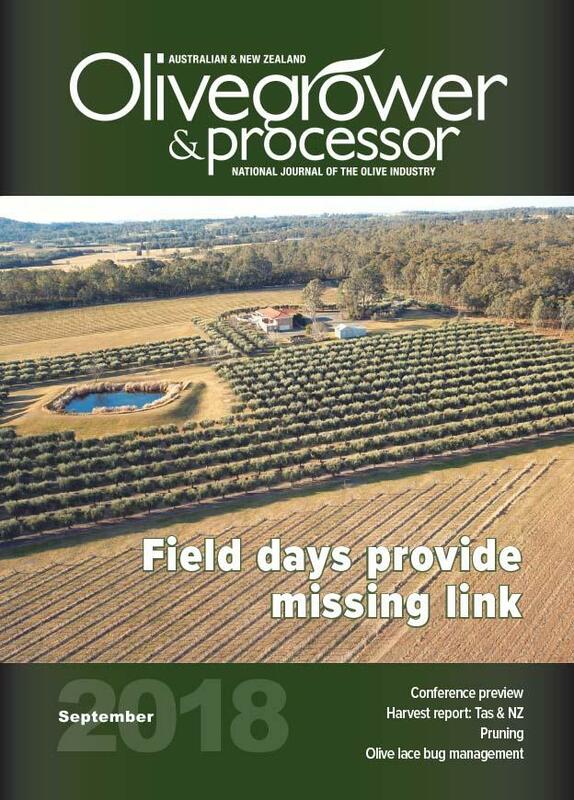 We’ll bring you more about the event – and the AIOA results – in the December edition of Olivegrower & Processor. You can now nominate individuals and businesses who have made outstanding contributions to the protection of our $60 billion-a-year agricultural industries and the health of our animals, plants and people. Awards on offer include the Farm Biosecurity Producer of the Year Award, recognizing excellence in on-farm biosecurity measures and the contributions made by producers to the wider biosecurity system. Nominations close on 9 November. More information and nomination forms here. New passenger videos added to the ‘Don’t be sorry’ series. International travel is forecast to grow around five per cent each year, increasing risks to Australia’s biosecurity. The Department of Agriculture and Water Resources is addressing this challenge and raising community awareness, by building on the successful in-flight passenger video, Don’t be sorry, taking the concept to new heights. Vic, SA and Tas IPDM Field Days: be there and protect YOUR grove. Details have been finalised for the next three IPDM Field Days, being run as part of the national program in the olive levy-funded project: An integrated pest and disease management extension program for the olive industry (OL17001). A survey of eastern Australia land managers is researching the secondary exposure of at-risk wildlife species to Pindone. The Conservation Research Unit, ACT Government is assessing the secondary exposure of at-risk wildlife species to Pindone, compared to other commonly used anti-coagulant poisons. If you intend to use Pindone between now and December 2018 and are interested in participating in this project, please contact Jake Gillen - jake.gillen@act.gov.au or Melissa Snape - Melissa.snape@act.gov.au. Agriculture Victoria offers on-farm grants to farmers to replace energy inefficient equipment, install more energy efficient systems and enable own-generation capacity. Grants are available to eligible primary producers until March 2020 or until funds are fully allocated. More information here. Victorian farmers who have spent more than $8000/year on energy can apply for free on-farm energy assessments under the new $30m Agriculture Energy Investment Plan. Ongoing until March 2020 or until funding is exhausted. More information here. Value Add Agribusiness Investment Attraction Fund offers grants of up to $300K towards capital expenditure by businesses that invest in expansion, relocation or new value-adding production facilities in regional WA. Grants may be up to 50 per cent of the value of the total investment and funded projects must be completed by 30 June 2020. More information here SmartyGrants application form. 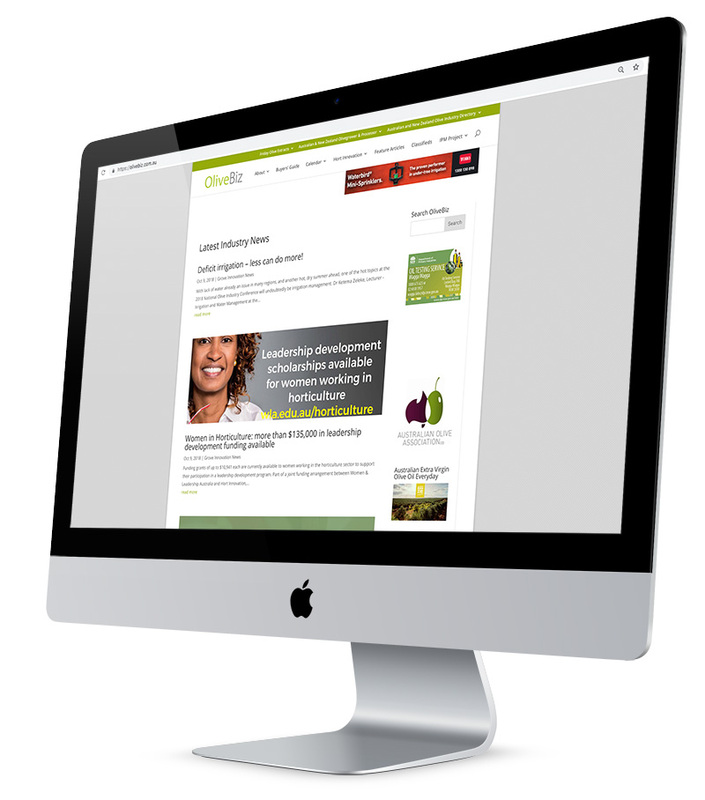 The Olive Wellness Institute is running a FREE Webinar - A Focus on the Most Current Evidence and a Lifestyle Medicine Approach – and Friday Olive Extract readers are invited to attend. Presented by two leading Australian Dietitians, Professor Catherine Itsiopoulos and Dr Flavia Fayet Moore, the session will detail the basis of the Lifestyle Medicine Approach, and provide a summary of the most current Systematic Literature Reviews relating to EVOO and health. The relationship between EVOO and heart health will be reviewed, together with an overarching summary of the evidence to support a Mediterranean diet, with EVOO as the principle dietary fat. Details: Tuesday, 13 November 2018, 12:30-1:30pm AEDT. Those attending the full live webinar will also receive an Olive Wellness Institute gift pack including a range of high quality olive based products. Places are limited - register ASAP here. Anita and Alan Blakemore are delighted with their silver medal win at at the New Zealand Extra Virgin Olive Oil Awards. Photo: Chris Tobin. Entering the New Zealand Extra Virgin Olive Oil Awards for the first time paid off for Anita and Alan Blakemore. 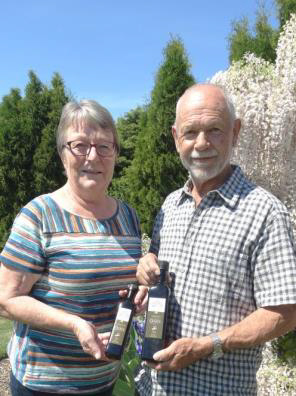 The couple picked up a silver medal in the commercial mild blends section at the awards dinner in Masterton recently. A great reflection on the determination and effort which underpins our industry. 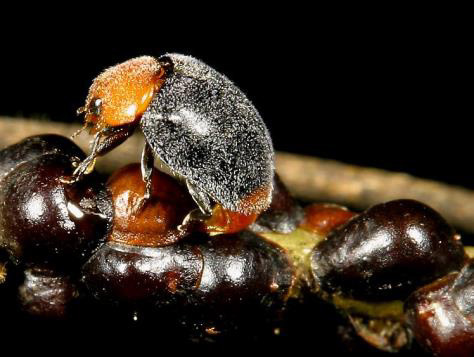 The Spanish Olive Oil Interprofessional association has partnered with several institutions to complete an ambitious research project that will study how to control and eradicate Xylella fastidiosa, an emerging pathogen that has become one of the olive oil sector’s main concerns. Olives are not new to the Sunshine State, but their economic viability is coming into the spotlight as citrus struggles. On a small, 35-acre island in Groveland, Florida, Keith Keogh plans to grow olives where citrus trees once dominated the landscape. BrightFarms is poised to bring its local greenhouse model to a nationwide audience with 15 hydroponic greenhouses to be built in the next three to five years as demand for locally-grown produce outweighs organic, shared BrightFarms VP of marketing and innovation, Abby Prior. 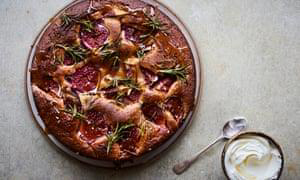 Anna Jones’s fig, olive oil and hazelnut cake. Photograph: Issy Croker. Styling: Emily Ezekiel. I couldn’t cook without olive oil, but I rarely give it centre stage as an ingredient. These recipes will work with any good extra-virgin number, though. Easy, delicious recipes specifying ‘extra virgin’ olive oil for high-heat cooking. We had to share! In the scheme of things, California is still a pretty small player in the US olive oil market, accounting for around 5% of consumption. But given that this figure was just 1.5% when Greg Kelley joined leading domestic producer California Olive Ranch in 2006, more than tripling your market share in just over a decade is no mean feat, he points out. 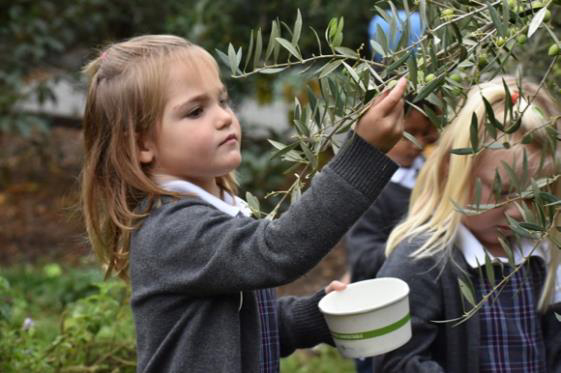 Last week pumpkins got pushed to the side, so to speak, when students at Sacred Heart’s lower and upper schools harvested olives from the 50-tree, 100-year-old grove along Elena Avenue in Atherton. The industry’s olive pickers of the future, perhaps! Data from the Ministry of Agriculture, Water Resources and Fisheries on the production of olive oil for the 2017-2018 season are as follows: final production of olives: 1.6 million tons of olives, the equivalent of 325 thousand tons of oil against 500 thousand tons of olives, the equivalent of 100 thousand tons of oil, the previous season last, i.e. up 325%. Camins de Verdor’s Umami olive oil, made from green olives harvested early. Photo: Paula Mourenza. The rain makes it feel like November, when the majority of Spain’s olive oil producers begin the harvest to make extra virgin olive oil. Yet it’s October, and we’re watching the gathering of Arbequina olives in Belianes, very close to the city of Lleida in central Catalonia. 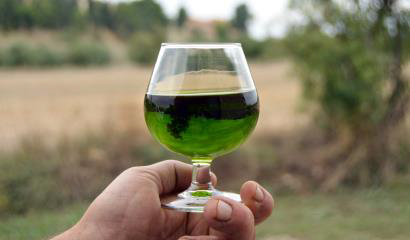 Love the messages about tree-to-processing freshness and the health qualities of EVOO. Olive oils in olive-shaped cacao. Mia Stainsby/PNG. Cutting edge Spanish cuisine can be found at Madrid's Casino de Madrid, a two-Michelin star restaurant that has close ties to El Bulli, the revolutionary eatery that astonished the world.